January is Glaucoma Awareness Month. The National Eye Institute, part of NIH, is highlighting key facts about this blinding disease, important tips for prevention and treatment, and research updates you may not know about. 1. More than 2.7 million Americans over age 40 have glaucoma. That number is estimated to more than double by 2050. Though glaucoma is the second leading cause of blindness in developed countries, increased awareness and ongoing research may reduce the health burden of glaucoma. 3. Getting a comprehensive dilated eye exam is the only way to catch glaucoma early. During a comprehensive dilated eye exam, drops are placed in your eyes to dilate, or widen, the pupil. Your eye care professional uses a special magnifying lens to examine the back of your eye and look for signs of damage or problems. 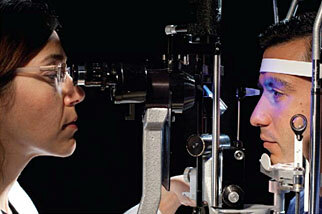 People at higher risk of glaucoma should usually be examined every one to two years. 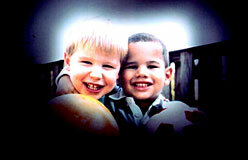 Caption: This video shows how open angle glaucoma progresses and affects vision. 4. Don’t wait for symptoms. Lack of awareness and lack of symptoms prevent people from getting glaucoma diagnosed early, notes Jullia Rosdahl, M.D., Ph.D., of the National Eye Health Education Program and Duke Eye Center. Without treatment, people with glaucoma will slowly lose their peripheral (side) vision. Over time, central (straight-ahead) vision is also affected. Caption: Sight without side vision may seem like looking through a tunnel. 5. Glaucoma damages the eye’s optic nerve. The optic nerve is like a data cable coming out of the back of your eye. It carries visual information to your brain. Glaucoma damages the nerve cells or “wires” in the cable, disrupting the flow of visual information. Caption: The optic nerve (highlighted) travels from eye to brain. 6. Once glaucoma damages your optic nerve, lost vision cannot be restored. Early detection combined with treatment can slow or stop glaucoma progression. Caption: In cross-section, the optic nerve and retina funnel (left to right) information to the brain. The optic nerve (the purple stem of the funnel) collects information from the retina (the mouth of the funnel). Credit: Drs. Alejandra Bosco and Monica L. Vetter, University of Utah. 7. Eye pressure is a major risk factor for glaucoma. However, not every person with increased eye pressure will develop glaucoma, and glaucoma can develop without increased eye pressure. Caption: A tonometer measures pressure inside the eye and helps detect glaucoma. 8. The only clinically proven treatment for glaucoma is to lower eye pressure. Some medicines cause the eye to make less fluid. Others lower pressure by helping fluid drain from the eye. 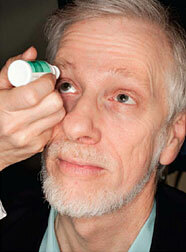 Caption: Regularly use of medicated eye drops is a common treatment for glaucoma. 9. A new drug-delivery system is currently being tested. NEI-funded researchers are testing a drug-dispensing contact lens that may be easier to use than drops or pills. 10. Studies in the laboratory and with patients are making key discoveries and giving new hope. Researchers at NEI are studying how to protect retinal ganglion cells, the cells that make up the optic nerve. NEI-funded researchers at Indiana University-Purdue University Indianapolis turned patient-derived stem cells into retinal ganglion cells. Recent NEI-funded analysis identified three additional genes that contribute to the most common type of glaucoma. Scientists at the Medical College of Georgia at Augusta University found that high expression of a short gene may contribute to destructive eye pressures in glaucoma. NEI-funded researchers at the Icahn School of Medicine at Mount Sinai developed a method to test potential glaucoma treatments and study disease progression.